Summary: Efforts are afloat to reduce regulatory burden for community banks. We map them out. FDIC research shows that there have been two major periods of bank failures over the past 30Ys. The first one was from 1981 to 1993 and the second one was the Great Recession, where a high number of bank failures occurred from 2008 to 2014. In between those time periods, things in banking have been pretty good though. There's even more good news for community banks. This is because efforts are afloat to reduce regulatory burden. Of course, these are long-term efforts, so bankers will have to be patient, but here are some of the particulars. In March of this year, regulators issued an update on where the exam modernization effort stands. The update comes after a period in which regulators surveyed the current regulatory landscape and sought feedback from banks and examiners on what's working and what's not. In a recent press release, members of the Federal Financial Institutions Examination Council (FFIEC) highlighted four areas on which they will focus their efforts. These specific areas are expected to bring about the most meaningful reduction in regulatory burden based on their research. Focus areas include: highlighting and reinforcing regulatory communication objectives during all stages of the exam process; better employing technology to shift exam work from onsite to offsite; tailoring exams based on bank risk profile; and improving electronic file transfer systems to facilitate information exchange between banks and examiners. The FFIEC update also suggests regulators plan to reinforce and clarify for examiners the importance of being clear and transparent to community bankers during exams. This is outlined more in the FDIC's financial institution letter, dated March 22. Industry groups have also been pushing to eliminate one-size-fits-all regulation that tends to disadvantage community banks. There are legislative moves afoot here, but be sure to read the fine print, as some refer to community banks in the headline, but are actually focused on banks >$50B in assets. On the good news front, about a month ago or so, the House Financial Services Committee advanced a bill that would increase the asset threshold to $3B from $1B for banks eligible for 18-month on-site examination cycles. Given the heavy time commitment needed to prepare for, manage and support any exam, that is welcome news, and fingers are crossed here. To be sure, regulators have been taking banks' comments to heart. Fed Chair Powell told Congress that tailoring regulation based on an institution's size and risk profile is a major focus, and that sort of comment follows others from the FDIC and OCC. He also pointed to several steps regulators have taken in recent months to provide relief for smaller institutions. These include reducing the scope and burden of the Call Report, decreasing exam frequency and simplifying capital requirements. At the time, he affirmed that the agency is committed to doing even more to level the playing field for smaller banks. 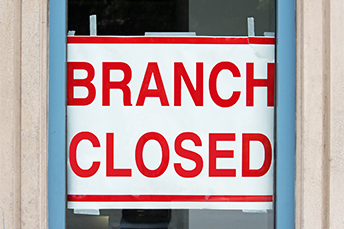 For community banks, it's still largely a wait-and-see situation, as changing examinations or regulations in any way seem to take forever. Certainly, discussions are good as long as they lead to something meaningful, so community bankers we talk to are hopeful, at least over the longer term. When asked how their board primarily handles cybersecurity governance, bank executives responded: within the risk committee (34%); at the board level (29%); within the technology committee (19%); within the audit committee (15%); other (4%). Note: totals do not add up to 100 due to rounding. The IMF projects global growth will rise to 3.9% in 2018 vs. 3.8% in 2017. It also projects the US economy would grow at 2.9% in 2018 and 2.7% next year. In a 2018 WalletHub survey , 76% of people expect to have more money in the bank in the end of 2018. 2018 Bank Director Risk Survey finds that 52% of bank executives and directors expect to lose deposits with a substantial rate increase, yet only 7% believe it will negatively impact their bank. Bankrate reports Citibank and USAA are tapping into digital banking customer feedback through pilot programs in their apps and website. JPMorgan Chase is pondering a similar program and Bank of America has been using customer feedback in app reviews for their digital development. Finally, USAA is including a testing of Facebook Messenger in addition to other projects and taking surveys. This feedback mechanism comes with an overall industry desire to be more customer-centric. In an effort to expand our relationships, PCBB is pleased to offer community banks a money market deposit account rate of 1.85%, subject to availability. Contact operations@pcbb.com.